This weekend will help us go deeper in our faith and deeper in our relationships with each other. 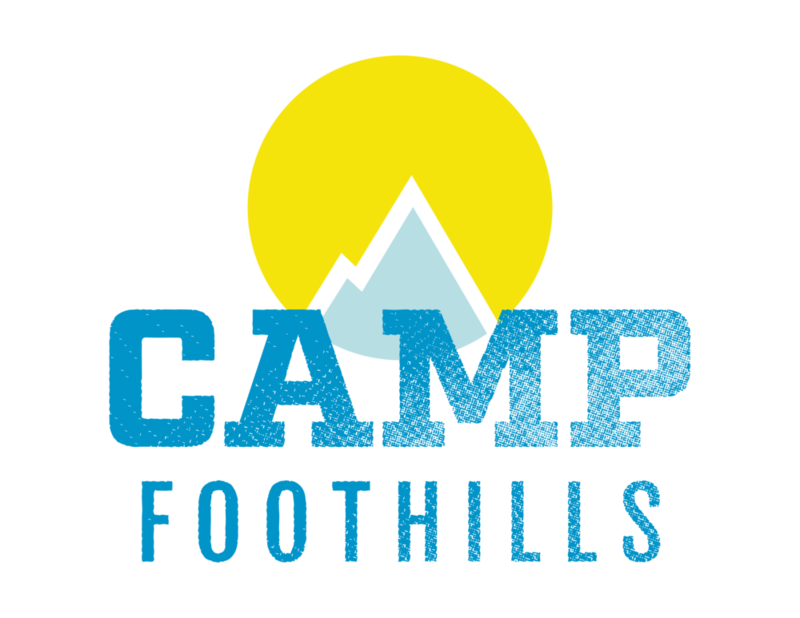 Camp Foothills is open to anyone who wants to experience a weekend of camping Foothills style! We encourage everyone - singles, single parents, families, seniors, and kids of all ages to join in the fun. Whether you've attended Foothills for years, are brand new, or feel like you're kind of standing on the sidelines, this is a weekend that will change everything. Could you invite other adults and/or families to join us? Watch what happens if you do! Sorry, absolutely no pets allowed! Getting to Ponderosa is easy. From Denver take I-25 south to Exit 163, County Line Road/Palmer Divide. Go east about 2 miles until you see the Ponderosa sign at Furrow Road. 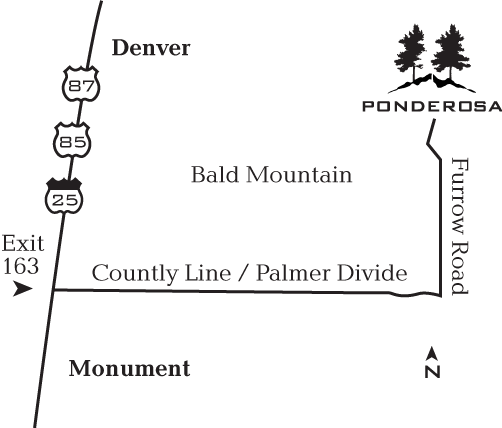 Turn north at the intersection and travel a little over one-half mile until you see the entrance to Ponderosa on your left. Interested in a map of the facility? Click here to view the detailed layout (you will be leaving the Foothills website). We are busy planning a fun-filled weekend for the entire family. In order to help you start planning as soon as possible, here is our tentative schedule, with more details coming soon. Dorm-style - Bunk-style bedrooms with community bathrooms. PLEASE NOTE: Linens, pillows, and towels are not included. Special Housing - There are a very limited number of cabins with private baths available for people with serious medical conditions or families with newborns. RVs – A limited number of RV sites are available on a first-come, first-served basis.Ten RV sites with full RV hookup (water, sewage, and 30-amp electricity) are available and accommodate RVs 21-40 feet in length. A small number of primitive sites are also available for RV. 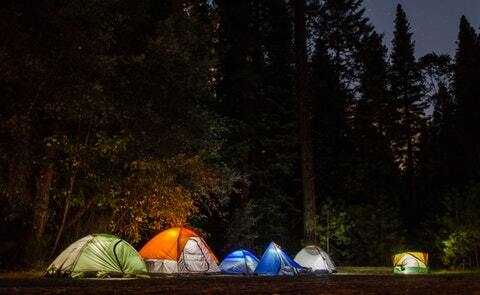 Tents (bring your own equipment) - Numerous tent sites are available. Do you know how many people attend church, but don’t feel like they belong to the church community? 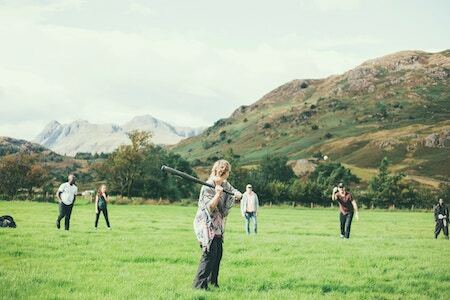 Coming to Camp Foothills could be what makes a difference for some individuals or families who need a deeper sense of community and a deeper relationship with Christ. The cost of camp can be more than some families can afford. We want everyone to be able to experience Camp Foothills because this is a weekend that can change everything. 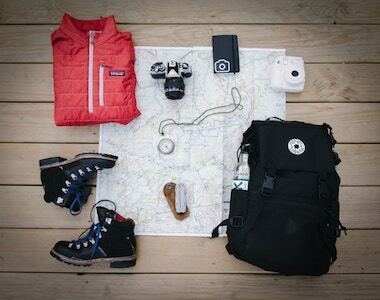 Would you consider providing a scholarship to help more people get to camp? Your donation can really make a difference in someone’s life. To donate to the Camp Foothills scholarship fund, click on the DONATE button below!